Why is it necessary to pass the taxi drivers assessment test? Taxi drivers play a vital role of transportation and tourism within the area they serve, therefore it is only appropriate that they are tested to a recognised standard. Working in partnership with local authorities, The Driving Standards Agency has introduced a test specifically designed to examine the standard of Hackney Carriage and Private Hire drivers. Nowadays many Local Authorities insist that before you are issued with a Hackney Carriage or Private Hire drivers licence, you must pass a Hackney Carriage/Private Hire assessment. The test is designed to improve driver competence which will lead to increased road user safety and enhance confidence in the level of service you provide to your fare paying clients. What does the test consist of and who conducts the tests? The test is conducted by DSA driving test examiners who are specifically trained for the purpose. The safety and comfort of passengers is the basis for the test and the duration of the test is about 35 to 40 minutes. What standard is required to pass the test? The standard of the test is set at a level suitable for the full driving licence holder, which is higher than the learner driver test; it reflects modern driving practices and conditions. What will I need to do to pass the test? In order to pass you must demonstrate that you are a competent driver who understands and actively practices the rules of the road under normal driving conditions. During the test you must not accumulate more then nine driving faults. If you accumulate ten or more driving faults you will not pass the test. Any serious or dangerous faults will be immediately recorded as a failure. Before the commencement of the test your driving licence will be checked for eligibility and compliance with the anti fraud measures, therefore a photo ID must be produced to verify that the person taking the test is the licence holder. Additionally you will be asked to sign the test report form to verify your signature. At the onset of the test you will need to demonstrate to the examiner that your eyesight is up to the minimum standard required. (20.5 meters)You may need to demonstrate that you can stop as in an emergency, promptly and under control (avoid skidding). As part of your assessment you will be asked to carry out two manoeuvres; one will be your own choice and one will be decided by the examiner. In both cases you will be expected to demonstrate your ability to manoeuvre your vehicle under full control whilst taking effective observations and giving due consideration to other road users. You will be required to demonstrate that you are capable of pulling up by the kerbside at a safe and convenient place, as if a fare paying customer is either going to get in or out of your vehicle. In order to satisfy the examiner you will need to avoid parking in hazardous places which could cause disturbance or inconvenience to other road users including your passengers, e.g. next to lamp posts or trees. Whenever you are required to move away from the kerbside you will need to demonstrate your awareness of what is going on around you and take appropriate steps to minimise any inconvenience to other road users. When on the move, you will need to exhibit your skills in making situational judgment of what is happening around you and adopt your driving to safely accommodate any vehicular movement around you. This will entail constant use of mirrors and taking effective observations. In effect you will need to demonstrate that you are aware of what is happening around your vehicle at all times and adapt your driving to suit. You will to need to display thorough understanding of the system of signalling on the roads and demonstrate that you are able to signal correctly and communicate with other road uses in a safe and responsible manner. You will be expected to understand and comply with traffic signs and road markings, as they are there to help you anticipate and plan your journey. You will also need to see and react to signals given by the police, traffic wardens etc and signals given by other road users. You will be required to demonstrate your ability to adopt your speed and position to suit varying road conditions taking account of your vehicles capability. You will need to make progress when the speed signs and the road and traffic conditions dictate it is safe whilst demonstrating that you recognise and comply with any lower speed limit for the road you are on. You will be required to actively manage the space around front and back your vehicle as well as maintain adequate space between the parked cars and the on coming vehicles. The examiner will be looking to see that you have sound judgement when overtaking, meeting oncoming vehicles and when turning right in front of oncoming traffic. The examiner will actively be looking to see whether you cause other vehicles to brake or swerve to avoid you.You will need to demonstrate that you are aware of other road users at all times, plan ahead, predict how the actions of others will affect your driving and react in good time. you will be asked a few questions on the Highway Code, some general cabology questions and asked to identify a few traffic signs. This may include questions on the length, width or height of your Cab, tyre pressures, what to do if you found an item of lost property in your cab etc. It is important that you can demonstrate all the principles of safety and security – if seat belts, wheel belts or wheel clamps are fitted then they should be in good working order and applied whatever style of wheelchair accessible vehicle you bring on test. You will need to demonstrate your ability to securely erect, load, unload and fasten a wheelchair using ramps as required. This may involve backing the chair to the fold down seats, and then securing both wheelchair brakes. What will happen at the end of the test? If you have passed, then the examiner will write you out a certificate which you present to your licensing authority, if you have not been successful on this occasion the examiner will provide you with a brief summery of the test result and provide you with some guidance on how to improve your chances of passing next time. The national pass rate for the DSA taxi assessment last year was 50.9% (Jan`09 to Dec`10). Two-thirds of those who didn’t pass, received serious or dangerous faults. This pass rate is only slightly higher than the learner rate and is probably due to the fact that as professionals, taxi drivers do not see the need for training – unfortunately the opposite is true. Any driver after a period of time develops habits, not all good, and would probably not pass the standard driving test again without at least some refresher training. What training will you require? Monk School of Motoring is one of the largest driving schools in and around central London. We have the expertise, facilities and knowledge of how to teach professional drivers. The Taxi Test Assessment requires specialist training and we at Monk excel in providing that training to the highest standards of driver development, which will greatly improve the candidate’s ability to pass the Taxi Test Assessment. 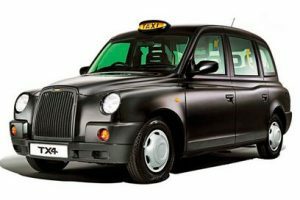 If you are planning to take your black cab or a minicab test and need help in preparing for the test why not contact us.